Seven-and-a-half-years at the club, 334 appearances and 18 major titles – Javier Mascherano calls time on his glittering Barcelona career but rather than a move to another European club or return to River Plate, the 33-year-old is all set to become the latest high-profile star to grace the Chinese Super League. 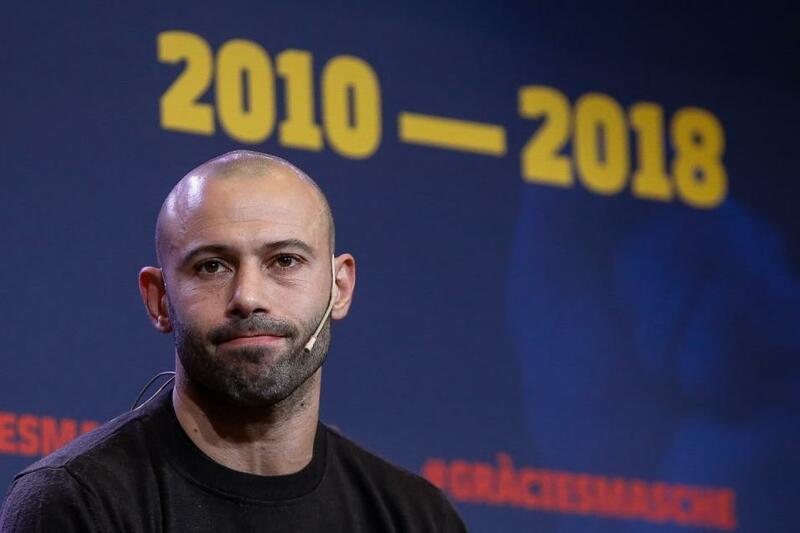 While those details are yet to be confirmed, Barcelona formally bid farewell to an emotional Mascherano at a media event on Wednesday before the Argentinean says goodbye to supporters at Thursday’s Copa del Rey second leg against Espanyol. Masche is expected to sign for Chinese Super League club Hebei China Fortune, who are managed by Manuel Pellegrini, a coach that the midfielder knows well. “The plan is that he comes. We have to see his situation at Barcelona, but he is a player that I am very interested in,” Pellegrini admitted in a recent interview. “I was the one who gave him his debut with River Plate. That certainly seems true. Despite Carlos Tevez providing reasons for Chinese football to be hesitant of offering an Argentinian a lucrative contract, Mascherano appears cut from very different cloth.